I know I haven’t been posting lately, but there hasn’t been anything to procrastinate from in the past few weeks, being on break and all! Haha, but will definitely get back into the swing of things here pretty soon. With school looming around the corner and everything. But in the meantime, here’s one more award that Nina was kind enough to give out. It’s an honor to be considered inspiring, since at times I have to inspire myself to get out of bed. So thank you once again! 1. One weird fact I noticed about myself. I always get 8 hours of sleep, exactly, when left to sleep in. No matter what time I go to bed, it’s always 8 hours. Weird. 2. I love reading horror stories! The ones that make you think well past finishing the tale. 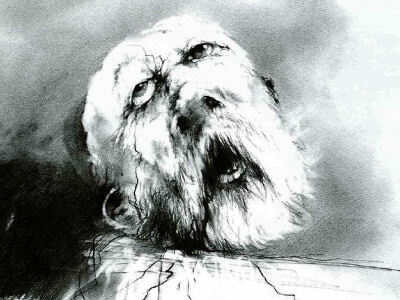 I just read through my brother’s copy of Scary Stories To Read in the Dark…and I still couldn’t get over how terrifying those images are that are scattered throughout the book. I just couldn’t get enough! And then I thought…how many kids has this book scarred already? Yes, that is a severed head. A bloody, severed head…In a children’s book. 3. Every time I come home for the holidays…I tend to eat way more than I should. But shhh, that’s only between you and me. I can never get enough of the pies that we have…Pecan, Pumpkin, Key-lime, Sweet Potato…oh man. I’m going to have to get a slice now, with some ice-cold milk. Thanks. Just thanks. 4. Courage the Cowardly Dog, and Samurai Jack were some of my favorite shows being younger. And I’m way excited since I just got the entire collection for both! It’s almost too good to be true…. 5. I just found out that I qualify to be a pilot in the AF. I still have selection boards and everything, so even though it’s still a long shot, we’ll see how that turns out. It’s definitely opens up a couple more doors in the long run. Just listen through it once, preferably with RainyMood and you’ll know what I’m talking about! 7. I’m really into things that are paranormal, things that can’t be explained, but nonetheless creepy. Kind of weird but I like having those chills down my spine. It definitely gets the adrenaline going, and sharpens the senses. It’s been just a bit over a year since I started this blog, and I have to say it was worth it. I remember sitting at my desk, exploring every possibility of pushing off studying for a test I don’t even remember the class for. I thought that it would be interesting being able to write about things that were on my mind, as a sort of escape, not just from studying but also from everyday life. A place where I could put down thoughts, dreams, worries, and escape from the harshness of everyday living. I never really thought that things I wrote would impact others, since most of the time I would just write about things that only I thought I had troubles with. But I was wrong, boy was I wrong. My topics started off pretty generic, but as I began to write about things that mattered to my heart I began to find other readers, writers, and scholars that walked that same or similar paths as I had just begun to walk. The things that I felt were big ‘problems’ in my life, were in reality, nothing at all. In short, to sum up the one thing that I learned this past year, is that of perspective. Putting yourself in someone else’s shoes and realizing how blessed y0u are. That it can always be worse. Much worse. And for anyone reading this, I would like to extend that gratitude to you. Because it is you, who have given me this perspective and allowed me to realize that everything that you do matters. Even the little things. That sounds so sappy, haha, but I don’t care. It’s a new year, new beginning! SO, onto the main point of this post, I would especially like to thank Wilhelmina, and Nina for nominating me (twice?!) 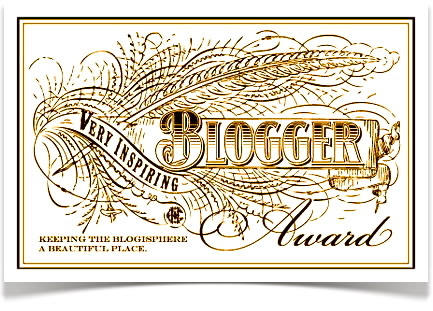 for The Blog of the Year Award! Like I mentioned, when I first started I thought that I would be writing these things down for my own record, something to look back at years from now. I never really expected people to read what I wrote, and this award shows for that. It really does mean a lot receiving this award from these two fantastic writers. So thanks again! –Secondhand Thoughts – The resolute and placid photography has many a time transported me to another place. It’s all about the escape for me, and here I am able to find what I long for. –Quiet One – One of the blogs that has really stuck out to me lately. If you’re looking for perspective, look no further. You may learn a few things on taking things for granted. –Lady Barefoot Baronness – Lady BB has been one of the constant people to encourage me since the start. Words do mean a lot, especially coming from a stranger. And she definitely has a way with words. Kind of like chicken soup, for the soul! –Doorway To Amaranthia – Has a way with words. The poetry that I have managed to read have all been superb and multi-lateral. Not many people can do that with words, and I admire that. –Deep Thinkings – The name says it all. If I could only write half as decent as mrprose…haha. New Years resolution maybe? Another awesome blog on finding perspective. –Pouring My Art Out – One word. Photoshop. I don’t know how many times the pictures that I have found on there have made me chuckle. And in the good old fashioned clean comedy kind. And there we go! I know there wasn’t any requirement for the descriptions, but I thought I’d share how all of these blogs have come to support me, with all of their fantastic writings. It’s absolutely the least I could do. So hears to you, and to a new year! As always, I’m always looking forward as to what the next year will bring. Every body has a way of expressing themselves. Whether it’s by writing poetry or taking photographs, playing sports or creating art of any sort. Every body has their own little niche, something that they enjoy doing. Something that they find solace in…a way to capture emotions and to share it with others. Anyways, I don’t really know where I’m going with this, maybe because it’s way past my bedtime?? Just kidding…I’m a big kid now, no need for diapers anymore! Haha. Well, I remember now what I was trying to get at. For me, I find comfort in something that is of my own making, as many others do. Whether it’s their written works or athletic accolades. But for me this is a little something that I intend to get better at.